Tranquil and lush, serene and peaceful. 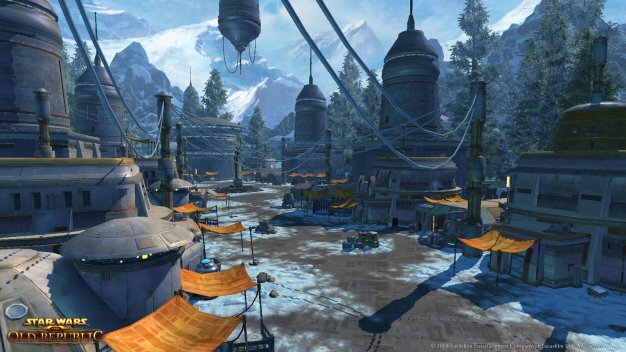 That’s the Alderaan fans of the Star Wars franchise will get to know in Star Wars: The Old Republic, not the blown-to-bits version that many saw it as in A New Hope. Before it was destroyed, the planet was a beautiful haven for its inhabitants and later a symbol of independence from the Republic when its crown prince decided to break off amidst his disapproval of the Treaty of Coruscant. Needless to say, that guy was assassinated awhile after with the queen passing on as well. With no concrete heir to the throne, the houses of Alderaan fought bitterly to take control, with one of them getting support from the Imperial army and another that would later pave the way for Princess Leia, House Organa, getting support from the Republic. With civil war breaking out on the planet, BioWare is going to need someone to beta test it and make sure people are firing their blasters at the right people. With that being said, beta sign-ups are still up at the The Old Republic website for everyone who signed up there.